Dr. Sandeep Gupta and special guest Dr. Dale Bredesen, professor at UCSF and founding president and CEO of The Buck Insititute discuss one of the three Alzheimer’s Disease subtypes, Type 3 – Toxic aka Inhalational Alzheimer’s. They talk about how it relates to mold illness/CIRS and how it can be both prevented and reversed using lifestyle changes, diet and supplementation. 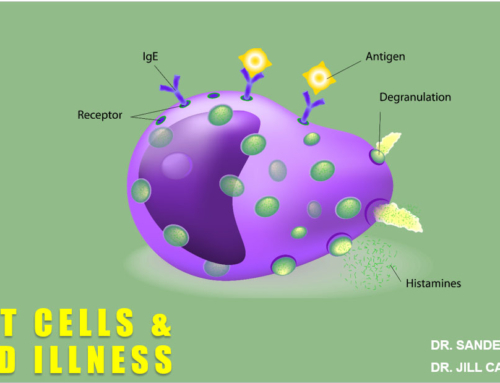 0:24:00 – What is CIRS (Chronic Inflammatory Response Syndrome)? 0:30:20 – IAD or CIRS? Okay everybody. 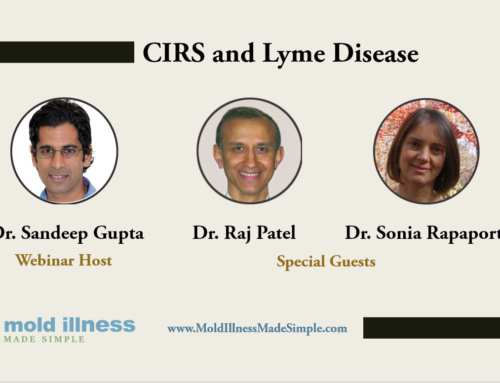 This is Dr. Sandeep Gupta here, from Mold Illness Made Simple and I’m super excited to have Professor Dale Bredesen on with me today to discuss Inhalational Alzheimer’s Disease and its relationship to CIRS, or what we colloquially call “mold illness”. How are you today, Professor Bredesen? Dr. Bredesen: I’m doing fine. Thanks for having me, Sandeep. Very welcome. I’m really excited about this webinar and when I was studying a little bit just to present this webinar, it really astounded me how much of a problem Alzheimer’s Disease is now, and how exciting it is that you and your research team are coming up with solutions that make this less frightening of a condition for people. I think during this webinar we should get into to some really important clues, particularly for people who are suffering from Alzheimer’s but even those who are worried about the possibility of developing it in the future. Yeah, this is a really good point. This is a huge problem, as you probably know. This is a trillion dollar global problem. Alzheimer’s Disease is now the third leading cause of death in the United States and, as you may have seen from a few months ago from the report from the U.K., dementia is now the number one cause of death in the U.K. It is past heart disease and cancer. So this is a huge and growing problem and, as you know, there hasn’t been really anything to about it. We are in a new era in which complex chronic illnesses like Alzheimer’s Disease and mold illness, and things like that, are increasingly being successfully treated. Actually, as you know, back in 2014 we reported the first people with Alzheimer’s and pre-Alzheimer’s who’ve gotten better. We now have over a thousand people on the protocol and actually I reported this in the book that came out, The End of Alzheimer’s, which just came out a few months ago. I’m very, very happy that you’ve got some solutions for people with this condition and it’s not just a slow march towards death as I think it was thought to be a few years back. Let’s jump right into this webinar and obviously we will talk a lot about the different nuances of this condition and how it relates to mold illness. Just before we start, I’d like to suggest to people you may care to close or minimise your other browser windows and have a pen and paper ready, because Professor Bredesen is going to present some very important information during this webinar, which you may not find readily. Also, just want to mention that this webinar is for general information only and it’s not intended to diagnose, treat or cure any medical condition. Most of you who are tuning in today probably already know quite a bit about me, especially if you’ve been tuning into these webinars, so I’ll do this very quickly. As you would know, I’m a physician from Australia who graduated in 1999 from the University of Queensland and Professor Bredesen you probably don’t know, but my initial background was originally in intensive care. I worked in intensive care for around five or six years here in the city of Brisbane until I actually experienced some sickness myself, which was after taking a very strong dose of some antibiotics for shigella when I was travelling in the United States. I actually developed severe fatigue myself and that led me on a whole journey of discovering solutions for conditions that hadn’t been well-recognized by conventional medicine because, in terms of conventional medicine, nobody really understood why I should be fatigued and developing terrible headaches just after having some antibiotics for shigella. That took me towards trying to understand the microbiome, trying to understand the need for balance within the human body and balancing the hormonal system and so on. After that whole experience, I shifted my whole career into integrative medicine and started a private holistic practice here on the Sunshine Coast, which is called Lotus Holistic Medicine, and I do Skype consults worldwide. As I was telling you, Dr. Bredesen, I got certified in Shoemaker Protocol in 2014 due to my ex-partner actually suffering from mold related problems, and I also did actually experience some symptoms of CIRS myself and was very lucky to be able to collaborate with many of the other physicians who were part of Dr. Shoemaker’s working team and co-authored a physician’s consensus statement with Drs. Ackerley, Berndtson, Rappaport, McMahon and Dr. Shoemaker himself. I also created a paper called Surviving Mould Down Under which I believe is still online at survivingmold.com for people in Australia who are trying to wrangle with the condition of CIRS. That’s really where I’m at, and I’m referring to the fact that I found that it was extremely difficult to understand this condition of chronic inflammatory response syndrome, and really wanted to create a format where people could understand the condition and get a bit more hope, and really try and cope with their overwhelm around having been diagnosed with chronic inflammatory response syndrome, which led me to create this course, Mold Illness Made Simple, which I’ll talk about towards the end of the webinar. Would you like to tell us a little bit about your background, Dr. Dale? Sure, I’ve been interested in neurological disease for my whole career. I trained as a neurologist, a neuroscientist. We’ve had the lab up and running now. I worked for two Nobel laureates, including Stanley Prusiner, who won the Nobel prize for his work on discovering prions, and we started actually back in 1989, in my own laboratory studying the underlying cause of neurodegenerative disease. The whole idea was, could we understand neurodegenerative disease in a fundamental enough level that we could actually fashion the first effective treatments. And so we’ve been working on that for 28 years. I was the founding president and CEO of the Buck Institute for Research on Ageing and now we currently split our time between Buck Institute and UCLA. Okay, great. So really this has been a focus, this Alzheimer and the functional medicine approach for Alzheimer’s Disease has been a focus of yours for around about 28 years now, you’re saying? Absolutely. The book that we put out in August has been on New York Times Bestseller List now for almost three months, so there’s been a lot of support for this alternative view of the disease and a view in which you can actually do prevention. So we recommend anyone over 45 should think about what we call a cognoscopy. Basically, get evaluated, see where you stand, because the reality is that this Alzheimer’s Disease should be a rare illness if everybody did appropriate prevention and early reversal. It’s no surprise that your book is a New York Times bestseller because really you’re bringing an extremely scientific approach in to this condition and also offering hope to people with what’s otherwise a condition that doesn’t have a lot of hope. With this condition being such an escalating problem, to me it’s no surprise that there is a lot of interest in your work. Thanks. There are over a thousand people now around the protocol, including some people in Australia and New Zealand. Actually, Dr. Dave Jenkins in Australia is seeing some patients there and has come through our course. We’ve trained over 600 now physicians from 7 different countries and all over the U.S.
Great. That’s wonderful to hear. Great, so you started talking about this already Dr. Dale, and a little bit about the global burden of Alzheimer’s and what we’ve talked about in this slide is that, in the United States for instance, it’s estimated that around 5.3 million people are living with Alzheimer’s and that’s just a huge number. But the projections are even more scary. So it looks to me like it’s being projected that that number is going to double in the next 20 or 23 years. Is that your view? Absolutely. Yes, it is a huge problem and, in fact, when they say, they often say this 5.3 million, but what is missing from that is there are many people, of course, who are too young to know that they’re gonna get it, so the number you really want to know is how to many of the 320 million living Americans will get it during their lifetime. The answer’s about 45 million. So in other words, about 15% of the population develops this illness during their lives. Right, so that takes it from being something that’s more in the medical minutiae, to actually being something that almost every person needs to be thinking about. For instance, for myself with parents who are in their 70s, when I was researching this I started thinking, “Well, what do I need to do to make sure my parents either pick this up early if they start developing Alzheimer’s, or at least know whether they’re at risk of this condition?” because it seems to me that one of the things is the quality of life that people with this condition have is much lower than just the general progression of aging. Right, so we’ll talk about that later, and talk about some of the tests that you mention in your cognoscopy. I love that term by the way. Talking a little bit about Australia, it’s considered that around 413,000 people in Australia are living with dementia, in general. In Australia, interestingly, the statistics are more just on dementia in general, there’s not a lot of statistics on Alzheimer’s. But Alzheimer’s generally represents around about 70% of dementia cases. Is that correct? Yeah. It’s the number one cause of dementia. As you indicated, there are others like Lewy body dementia and vascular dementia, but Alzheimer’s is currently the leading cause of dementia. Dr. Gupta: Right. Robin Williams, for instance, I think was suffering from Lewy body dementia. In Australia, dementia, in general, is the second leading cause of death. A few years back, so for instance, when I was in medical school in the 1990s, that definitely wasn’t the case. So, there’s definitely been a shift just over these last 20 years. Yes, absolutely. This has certainly been on the increase. There are also things that are now emerging as risk factors. As an example, if you look at the first responders to the World Trade Center, who were in that cloud of dust, they are developing dementia at a higher rate. This is a real concern for others who are involved with toxic exposures. Recent papers showing increases in people who are exposed to smog. In fact, there are a number of features that are increasing the problem. Great. Well, thank you for that information. It seems to me that you’ve put together the pieces on the environmental side of Alzheimers disease, which up till now have not been well recognised. As far as the training that I had in medical school, for instance, the emphasis was really on it being a genetic condition and mainly on Apolipoprotein E, (ApoE) as being a genetic marker. You see on the bottom right-hand side of this slide, it’s mentioned that: if you’ve got a 3/3 genotype, you only have around about a nine percent risk of developing Alzheimer’s; while if you have a 3/4 genotype, so there are two genes, if you have a 3 and 4, you have around 30% risk; and if you have two 4 haplotypes, you actually have a 50 to 90% risk. Do you still feel this genetic understanding of the condition holds true or is it a lot more complicated than that? Well, there’s no question genetics play an important role. We’ve really focused on the molecular biology, on the basic underlying mechanisms that seem to be causing the problem. There is a balance that you have in your laying down of memories and taking them up. Literally like you’d look at a contractors that do construction versus those that do demolition, you have the same sort of thing with what we call synaptoblastic and synaptoclastic signalling. A little bit like people who talk about osteoporosis, you have osteoblastic signalling, you have osteoclastic. You’re making bone and brain and remodelling bone, basically. We see the same thing. Genetics, absolutely, have an important role. But, what the genetics do really is to change your metabolism. If you have ApoE4, for example, you have a more pro-inflammatory state in general and inflammation plays an important role in this balance and increases your risk for Alzheimer’s disease. So, genetics give you the risk, but they don’t determine whether you’re going to get it or not. That has to do with dozens and dozens of things, such as exposures, such as metabolism. As you know, diabetes, type 2 diabetes plays an important role in this. If you have type 2 diabetes, you have more than doubled your risk for Alzheimer’s disease. If you even have insulin resistance, even pre-diabetes, you increase your risk. If you have decreased support from hormones, you increase your risk. If you have specific pathogens like Lyme disease, or like HSV-1, or P gingivalis from your mouth. These things all increase the risk in Alzheimer’s and we have some of the inducers that actually can lead to this disease. The key change here is that you don’t just name it Alzheimer’s disease and then walk away. You have to look carefully at what’s actually causing the problem. Thank you for that. It sounds like we are back to the functional medicine aphorism that genetics load the gun which lifestyle pulls the trigger. Would you agree with that kind of aphorism? Dr. Bredesen: That’s exactly right. Great. You started talking a little bit about the mechanism. During medical school, I was taught that beta-amyloid essentially is the cause. It’s behind the pathogenesis, or the cause of this condition and, generally, it’s just something that happens in certain people that are predisposed. However, I’ve noticed in your work, you’ve actually described that there can also be a protective role of beta-amyloid. Could you talk a little bit more about that, please? Right. What we’ve found for the many years of research is that, in fact, the amyloid that is produced by your brain is a protective response to three fundamentally different insults, so you are responding to insults. Yes, it’s a mediator, but it is not the first responder. In fact, it is a protective mechanism to, number one, anything that causes chronic inflammation, so the pathogens that we’ve just talked about a minute ago, or things like trans-fats or sugar, all these things can induce a chronic inflammatory state that gives you the production of amyloid and increases your risk. We call that type 1 Alzheimer’s. Then type 2 Alzheimer’s is from a reduction in trophic support, nerve growth factor, brain derived neurotrophic factor, estradiol, progesterone, pregnenolone, testosterone, free T3. All of these things are providing trophic support for your neuronal network. Especially, if you decrease them rapidly, that’s when you get this response that involves the amyloid. In fact, showing this amyloid response to trophic loss was done a number of years ago by an Italian group, Calissano and his group, showed that withdrawal of nerve growth factor led to the production of amyloid. Then, the third thing is, it is protecting you from specific toxins like mycotoxins, and so both biotoxins and chemo toxins – mercury, copper, things like that. For all of these, and of course, Dr. Ashley Bush, who’s a prominent researcher in Australia, has spent his career looking at metal binding by amyloid and showing that it’s actually quite surprisingly strong. These things are insults to which you respond by producing amyloid. It’s a little bit like having the bad guys come across the border, you’re basically putting down something to kill them and then you’re scorching the earth. That amyloid is a little bit like napalm. You’re killing the intruders, you’re scorching the earth, but then you’re pulling back and you literally are pulling back on the size of your neuronal network. Dr. Gupta: Right. It’s a protective response that’s also damaging at the same time. Is that another way of putting it? Dr. Bredesen: Well, it’s a protective response that is associated with the downsizing. That’s right. Great. If we instead we can help the body to respond in a way where it doesn’t need to use such damaging responses, then perhaps the underlying trigger for Alzheimer’s can go away. That’s basically the basis for your work, as far as I understand. Yes. The critical piece here is that you must look for all the things that are contributing. In a typical patient, we find between 10 and 25 contributors. We have not seen a single person yet that only had one contributor to his or her Alzheimer’s disease. You want to look carefully and identify the different contributors and then you want to address all of those in an optimal way. Great. Thank you. Looking at these subtypes, they do seem to be quite different, in a sense. For instance, with regard to what you call “toxic” or inhalational Alzheimer’s disease, it seems that, generally, patients are going to be quite a bit younger and won’t necessarily have the ApoE4 gene type that we tend to see with Alzheimer’s disease. That seems to me that it points towards the fact that it’s quite a different pathogenesis or mechanism for which Alzheimer’s is produced in these patients. Would you agree with that idea? Absolutely. It still ends up with amyloid and so they are still diagnosed as Alzheimer’s, but they’re often called atypical Alzheimer’s. As you mentioned, they often are young, they typically have either zero or one copy of ApoE4 and they typically don’t have the atrophic required. For the type threes, for example, they don’t necessarily have a lot of an inflammatory response like the type one’s, but instead they have this chronic exposure to things like mycotoxins or chemo toxins and they respond by producing amyloid. The typical person here is a 50 to 52-year old woman. It’s often associated with menopause. No question this is more common in women, and as Maria Schriver has pointed out, about 2/3 of all Alzheimer’s patients are women. Especially in the type three, it is more common in women. It seems to be associated with menopause and the hypothesis is that these toxins are actually sequestered in part in the bones. As you change your osteoclastic activity, as you are releasing things from the bone, you release things like mercury, and mycotoxins. Certainly, Dr. Joe Pizzorno has done a lot of work showing that there is a release of mercury at this time. So, our suspicion is that this probably occurs with these other toxins as well. Because that’s the time of life when we typically see this present. Wow. That’s very interesting, I actually have never heard that. That may also correlate with the fact that in functional medicine we often see patients, women particularly, who are going through menopause present with low thyroid function. I wonder whether there’s a correlation with mercury being sequestered into the thyroid to some degree. Would you mind talking a little bit about Type 1.5, or Glycotoxic Alzheimer’s, would Doctor Bredesen? Absolutely. Yeah, so the Glycotoxic, we named it 1.5 simply because it has features of both Type 1, and Type 2. So, what happens when you have too much sugar, as you know our bodies were really not made to handle large amounts of sugar. Unfortunately in this day and age we’re exposed to massive, massive amounts. Really, our bodies are not meant to metabolise this stuff. So, one thing that happens of course is that you get non-enzymatic glycation. So, you get glycation of various proteins, and of course we measure this as Haemoglobin A1C. But of course, many, many different proteins undergo this glycation and your body recognises this, and often responds to it with an inflammatory response. This is now an altered protein. So, in that sense you have part of the feature of Type 1. On the other hand you also, in response to this high sugar level, of course you put out large amounts of insulin. As you probably know, you don’t want to see a fasting insulin greater than about 4.5 or so. We see people walking around all the time, 10, 15, 20 even 30 as their fasting insulin. Far, far too high. So, what happens is, insulin is a critical trophic factor for the brain. You actually have a change in your insulin signalling, this was shown elegantly by Professor Ed Goetzl at UCSF, who showed that you get a change in your insulin signalling pathway where you get a change in phosphorylation of IRS1, which is one of the signalling molecules. It literally turns off the sensitivity of your insulin receptor so that now you have an atrophic situation where the insulin no longer gives you the same response. In particular, doesn’t give you the same response of supporting your neuronal network. So, you’ve got features of Type 1, features of Type 2 and you’ve got to fix that. You’ve got to restore insulin sensitivity to make these people improve. Great. Thank you very much for that. So, you know, in all medical training we tend to have a big list of conditions that are associated with metabolic syndrome and insulin resistance. Alzheimer’s Disease should certainly feature on those lists. I think on most of them it currently doesn’t. Dr. Bredesen: No. Well, metabolic syndrome is an absolutely important risk factor for Alzheimer’s Disease. That’s been shown repeatedly. Okay. I’m going to change gears here a little bit, and start talking a little bit about CIRS. So, Chronic Inflammatory Response Syndrome, before we then go into talking a little bit about the correlation between CIRS and Inhalational Alzheimer’s Disease. For those who’ve been following these webinars and the course, none of this will be new info. But, for some of you listening this may be new. So, basically the mechanism which is being described by Dr. Ritchie Shoemaker and his research group is that biotoxins, and inflammagens from various sources, but mainly including water damaged buildings, or tick bites, or other vector bites they then lead to an abnormal immune response. Really, I refer to it as being a chaotic and inefficient immune response in certain patients. It seems that these patients generally have a gene type that leads them to be at risk for developing this chaotic inflammatory response. This chronic inflammatory response leads to wide spread gene dysregulation, and also brain changes. For those who listened to the webinar with Dr. Mary Ackerley, who I believe you know Dr. Dale, she talked a lot about the different changes that happen in the brain particularly due to levels of C4A going up and levels of VEGF going down. Also other markers such TGF-b1 and MMP9 also affecting the blood brain barrier. Generally speaking in this condition of CIRS people develop a multi-system, multi-symptom illness. Even if they’re removed from the original source of the biotoxin such as the water-damaged building. Or, even if the infection is being eradicated to some degree. So, this is the overall model of CIRS. Mary Ackerley refers to it as the brain on fire. Well, basically CIRS is the whole body on fire. Anything you’d like to add to that Dr. Dale, about CIRS in general? Well as far as CIRS in general, no, I think it’s a very important realization that Dr. Shoemaker and Dr. Ackerley and others have come to. I think it tells you a lot and explains a lot about a disease that we really haven’t understood. Absolutely. So, for instance, in my clinic there was a whole subset of patients who didn’t have a very good response to a functional medicine approach. They were basically very unwell and dealing with these kind of multi-system, multi-symptom diseases. 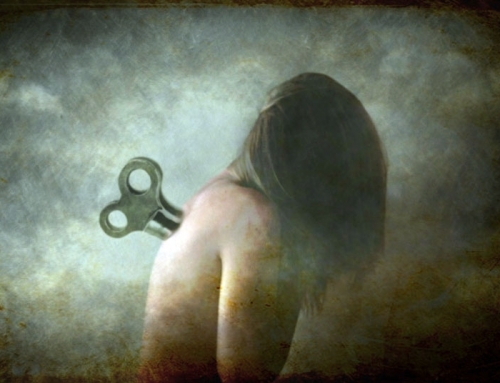 Whether it had been called Chronic Fatigue Syndrome, or Fibromyalgia, or whatever. Simply being able to have this framework allowed us to have a treatment plan for these patients where otherwise there may not have been one. So, before we start talking about the connection between Alzheimer’s Disease and CIRS, would you like to talk a little bit about what you refer to as a Cognoscopy? And how, basically, patients as they get into their later years should start thinking about having themselves assessed for whether they would be at risk of Alzheimer’s Disease. Absolutely. You know, certainly people in the past have said that there is nothing that will prevent, reverse, or delay Alzheimer’s Disease. But of course that’s being shown repeatedly to be incorrect. For example, the large FINGER study out of Finland showed that a nice prevention was possible with a fairly simple approach. So, we recommend that just as everybody knows that when you turn 50 you’re supposed to get a colonoscopy, we recommend that anybody over 45 get a “cognoscopy” and the point there is pretty simple. You want to have some blood tests that tell you whether you have specific markers that tell you that you’re at risk. For example, if you have insulin resistance you want to know it. If you have a high hs-CRP, that is to say chronic inflammation, you want to know it. If you have specific pathogens like Lyme that you can address before you ever get dementia you want to know it. If you have a very low thyroid function, for example, you want to know it. If you have exposure to mycotoxins you want to know that. So, you can do this in a pretty straight forward way. Get some blood tests and then take an online cognitive assessment. Pretty easy to do, you can do it in about 20 or 30 minutes. If you’re asymptomatic that’s all you really need to do, those two things. You want to know your ApoE, which you can get from the blood test. You want to know these other markers, and I go through all these in the book. Then, if you are beginning to have symptoms, or if you are symptomatic of course you also want to include an MRI with volumetrics. The volumetrics are so important because you want to know what is my hippocampal volume percentile? How do I change? In fact, is the hippocampal volume low for my age, or is it okay for my age? So, it’s a relatively straight forward thing to do. It tells you how you can prevent, or if you’ve already started down the pathway how you can actually begin to reverse the problem. It tells you what is actually causing it. Or causing the risk. So that’s very, very important and one thing that came to mind while you were saying that, Dr. Dale, is that sometimes we see, for instance, that a female patient suffering from CIRS or suffering from Lyme disease often will have a husband whose also been exposed to the same environmental causes, and we often wonder whether they need to be treated or not. If they’re only asymptomatic or mildly symptomatic. I’m wondering here whether, in terms of the risk of them developing Alzheimer’s disease later could be one actual reason that we may consider treating these conditions like Lyme, even if they’re minimally symptomatic. What are your thoughts on that? Well, absolutely, I think you would be removing their risk factor. Because what we found, and I’ve talked to Dr. Shoemaker about this, is that about two-thirds of the people who have this inhalational Alzheimer’s, who have this type of Alzheimer’s, do not fit CIRS, so they don’t have the other problems. But they ultimately end up with the dementia, and they have all the lab values of CIRS. They have a high MMP9 and a high TGF-beta 1 and a high C4a. They typically have an HLA‐DR/DQ that is associated with hypersensitivity to mold or Lyme or the so-called “dreaded” multi-susceptible. About a third of them do have the typical CIRS, so we think it’s very important for people to know, again, early on because it’s so much easier to deal with if you know this early on. We are finding that a lot of people who have cognitive decline, who are coming in with the type 3, have multiple exposures. So they’ll have, for example, Lyme plus mycotoxins, plus mercury, and you need to deal with these to remove the total toxic burden for them to get better. Right. So, this is a really important distinction here between what’s classically being called CIRS by Dr. Shoemaker’s team, and these cases, which actually could be a subtype of Alzheimer’s disease. Do you think there’s any particular reason that these patients have localized disease in the brain, rather than having a whole body syndrome, which is generally the case with CIRS Dr. Dale? It’s a great question. For some reason, as you mentioned earlier, these people are activating their innate immune systems chronically. It’s important to recognise the amyloid of Alzheimer’s disease is really something that is part of the innate immune system. So no big surprise that when you see someone who’s activated their innate immune system chronically with CIRS or with CIRS-related organisms or toxins, that some of these people will have the amyloid and will end up with Alzheimer’s disease. Now why they don’t show things peripherally, my guess is there are probably other genetic pre-determinants where they actually do well. For example, we had a couple recently where the woman developed Alzheimer’s after the husband came in and we started treating the Alzheimer’s and she’s actually improved. He developed CIRS, so they had a moldy home. She ended up having both mycotoxins and Lyme and has been treated for both of those. The husband ended up with the lung disease and has done well with treatment for that, so you’re absolutely right. There are some difference in people’s response. I should add, of course, Dr. Shoemaker pointed out there are people who present with Parkinson’s who turn out to have CIRS as well. The other big question that, obviously, will be of interest to the viewers of this call is, should a general patient with CIRS be concerned about being at greater risk of Alzheimer’s than the general population? It’s a great question. There hasn’t been an epidemiological study addressing that. Mechanistically, however, certainly they are at increased risk for producing amyloid. So if you want to know, one thing you can certainly do is have an amyloid scan and just see whether there’s amyloid there. You can also get the same information from a spinal tap, although I realise most of us don’t want to do spinal taps, don’t want to be having to get a spinal tap from our physician, but these are the sorts of things you could look at. So, yes, I would be concerned again. Anything that’s giving you a chronic activation of your innate immune system predisposes you to having Alzheimer’s disease. Dr. Gupta: When you say an amyloid scan, do you mean a special type of PET scan? Dr. Bredesen: Yes, this is a PET scan specifically with an amyloid tracer, things like florbetapir or so-called Pittsburgh compound-B. These are amyloid tracers that are used in PET imaging. Dr. Gupta: Great. Is that scan generally mainly available from larger imaging centers that are associated with hospitals, do you know? Dr. Bredesen: It’s available fairly widely. A good point, but yes, it’s certainly easier to get at major centers that are doing PET scans. Great. Also, what’s mentioned in this slide is that patients with inhalational Alzheimer’s often have the picture of multinuclear atrophy on their NeuroQuant, generally. We’re doing NeuroQuant imaging or NeuroQuant analysis on a lot of these patients with CIRS. Would you say that then a patient who has multinuclear atrophy may be in the subtype that’s a little bit more at risk? Again, there’s no epidemiology on this, but when you think about our people who have atrophy in their brain, they’re more at risk for brain disease, of course, yes. Certainly, what we tend to see is two different subtypes. Either people have more hippocampal atrophy and, as Dr. Shoemaker has pointed out, the hippocampal atrophy can certainly respond to intranasal VIP [vasoactive intestinal peptide] treatment, or we see people who don’t have the hippocampal atrophy, but have other nuclei and sometimes even more global cerebral atrophy. Great. Thank you for that. I’m thinking one practical point, which is coming out of this for me, is that it probably is quite important for us as patients who get all the way towards the end of the Shoemaker protocol to not only just take VIP until they’re feeling better, but also to follow up with NeuroQuant to make sure that their cerebral atrophy is actually reversed, if they want to also reduce their risk of Alzheimer’s. Would you agree with that kind of approach? Absolutely. Yeah, that’s a very good point. Obviously, you want to reverse that atrophic process as well. As Dr. Shoemaker also found in his studies, higher doses of VIP were associated with greater reversal of the atrophy. Now, of course, you got to be worried about the lipase and things like that. You’ve got to make sure that everything else is okay, but in general, the people who had more VIP, higher doses of VIP, tended to do better. Yes, absolutely. We’ve had a number of people here who have gone up to the 200 microgram per dose four times a day [of VIP spray] and they have tended to have better responses with regard to their brain atrophy, so thanks for mentioning that. Changing gears a little bit, we’ve talked quite a bit here already about inhalational Alzheimer’s and some of the different toxins, which can cause this condition, which are listed on the left side of the slide here, including water-damaged buildings, including heavy metals, and including stealth infections like Lyme disease or Lyme-like illnesses, which is what we’re calling them in Australia. Actually, in Australia, Lyme disease is actually not even acknowledged as existing. I’m not sure if you’re aware of that. There’s a huge disconnect here in Australia regarding what people are actually experiencing and what’s being accepted by the medical orthodoxy. I think part of the problem is simply a semantic one in that, often, the people who are suffering with this illness may not have the features that were classic of what were described in Lyme Connecticut, the original classic case definition, such as having the erythema migrans rash, or having migratory arthralgia, etc. Often, their conditions here is very, very neurological, especially if Bartonella is involved, and so, I suspect these patients are a big subgroup that would be at risk of developing this problem that you’re mentioning. So treating the Lyme, do you find that if they do have Lyme disease or a Lyme-like illness, is that something that you tend to address first before using, for instance, the Shoemaker protocol, or is it individual? Yeah, we do tend to treat early with this. One thing that’s important to point out, we are frequently seeing people who have Lyme co-infections. You mentioned Bartonella. We see a lot of people with Babesia, a lot of people with Ehrlichia. All of these other co-infections seem to be important and, again, another reason that you are defending yourself by making this protective amyloid. We think that this is an important contributor to Alzheimer’s. We see it again and again and often with the mycotoxins, as I mentioned, and sometimes with metals as well, so multiple contributors. Excellent. So with heavy metal toxicity, there seems to be a few different schools of thought on that. It seems that the most gold standard sort of form of testing is the urinary provocation testing. Is that the sort of testing that you generally recommend? Yeah. We recommend one of two things. There’s a provocation, as you mentioned. For example, Doctor’s Data has some nice tests for that. But the other thing that we like is the Quicksilver mercury tri-test. Quicksilver has done a nice job. This is Dr. Chris Shade and his group. They’ve done a nice job in that they will look at urine, hair and blood. It’s not a provocation test, but they are able to tell you then how much of the burden is inorganic versus organic. Of course, the inorganic tends to come from the dental amalgams and the organic tends to come from the seafood. Great, okay, excellent, so the mercury tri-test is something that’s also available in Australia. I think that’s quite widely available. Would you say that mercury is the predominant focus for you or is there a number of heavy metals that you zone in on? Yeah, we look at multiple metals, but what in general we’ve found, and this has certainly been published by others, if you look for metals that cause the actual pathology that you see in Alzheimer’s disease, mercury has been associated in animal models, for example, capable of producing both amyloid plaques and neurofibrillary tangles. So it’s certainly a concerning one. Now, it’s not a major player in many cases of Alzheimer’s. But in a sub-group, it is a key player and until you address it, the people don’t get better. Now there are others, certainly. In fact, others have suggested that these contribute and can add to the overall toxic burden. Cadmium, arsenic, lead, others like that. Then the other thing we find, especially in type 3 is a high serum copper to serum zinc ratio. This had been noted before. 30 years ago, there was a paper published noting high copper to zinc ratios in people with dementia. So we look for that as well. Yes, I think that is really, really important. That is actually something that myself and Dr. Janet Kim, who’s the other Shoemaker certified physician over here, have found very regularly in just CIRS patients in general, that they tend to have an excess of copper and often have a condition called pyroluria, where they tend to excrete too much zinc and vitamin B6. So that’s really interesting to see that you’re also finding it in your Alzheimer’s patients as well. The Shoemaker protocol is already something that we’ve talked a lot about on previous webinars so I’m not going to go over that again now. But just to mention that overall your ReCODE protocol, it’s very holistic overall. And it seems to me that you’re trying to address all different factors so that people have the best outcomes possible. Yeah, you know, that’s interesting. I came from a very scientific laboratory background and I had no interest in holistic medicine. In fact, didn’t even believe in it before. So what’s interesting is that we’ve come to this, we’ve come to the same conclusions as the integrative physicians, coming through the test tube. So we’ve simply looked at what’s actually driving the underlying molecular biology of the disease. When you look at that, you really can’t refute that, it is something that has multiple contributors and you need to address all these contributors, or at least as many as possible, to get people over the threshold and to get them to improve. And ultimately, seeing people get better, we’ve seen many, many, many now, get better really proves that this is the sort of approach that you want to use. So, I have to say, I’ve really become interested in integrative and holistic medicine simply because it works. Right, so it’s great to see that in your case it wasn’t an ideology that you were carrying. It’s actually something that’s come through scientific inquiry and work with patients. Really, quite clearly, you’ve just been looking for the best approach to benefit your patients and benefit anyone with Alzheimer’s disease and this is what you’ve come up with. So that’s really a delight to see. I think that the world of medicine is changing and we’re starting to realize that. 100 years ago people were mostly dying of simple acute illnesses and now people are mostly dying of complex, chronic illnesses. It’s really a very different strategy. You can’t just simply give an antibiotic. It’s a very different strategy. You have to look at all of the things that are contributing. Human beings are extremely complex and of course as physicians we’ve been dealing with tiny, tiny data sets, things like serum sodium and serum potassium that really don’t us why the person is ill. We need to go much more deeply into these to look at what’s causing it and then address the various contributing factors. Great. Thank you very much for that. So, moving onto the role of diet and what you call the Ketoflex 12/3 diet, could you please talk a little bit about what you think that the role of diet is in patients who have Inhalational Alzheimer’s or may be at risk of this condition. Absolutely. So we initially identified 36 different features, which is why we suggest people fix 36 holes in the roof, you’ve gotta patch the holes if you’re gonna get better. Meds just patches one hole. It doesn’t help that much. No question, one of those things is diet and nutrition and it’s a very important one. People have found repeatedly that the approach, or there are several pieces that are critical for nutrition. One of them, and it’s why we call it Ketoflex 12/3, one of them is to drive people into mild ketosis. We recommend that people actually get a ketone meter, very inexpensive, and check your own ketones. You want to be somewhere between 0.5 mmol/liter and 4 mmol/liter beta-hydroxybutyrate, one of the ketone bodies. That actually does help with cerebral function. Ketones are an energy for your brain. You want to get rid of the insulin resistance, get rid of the dependence on glucose and move to ketone bodies. So you are doing a largely plant based, ketosis inducing, largely fat based diet. A typical example, we have a woman who’s doing extremely well and who’s improved dramatically who is an ApoE4/4 and they’re always told not to eat too much fat. Well, she has 70% fat in her diet and her HDL is normal, LDL normal, LDL particle number perfect, below 1,000. She’s about 850 or so. So, this is exactly where you want to be. She’s protecting her heart and protecting her brain both. Yet, it’s a high fat diet. There’s a wonderful website by the way that talks about some of this apoe4.info. I also mention it in the book. And what and what that group has done, is to start using things like MCT oil early on as part of switching from a glucose based to largely a good fat base. Then, after they achieve repeated insulin sensitivity, more toward monounsaturates and polyunsaturates, things like extra virgin olive oil, avocados, nuts, seeds, and away from the MCT oil. But in general, many people have noted that people on MCT oil tend to do better with their cognition. Coconut oil is another way to go. In general, coconut oil’s a little longer chain. Typically, on average 12 carbons, some shorter species. MCT oil is mostly caprylic acid, which is 8 carbons, a little better absorbed and many people have noted improvements with MCT oil. Excellent. Yes, so one thing I’ve understood or heard with patients with Alzheimer’s who have had insulin resistance syndrome is that their brain cells essentially are not able to burn carbohydrates effectively as a fuel. Therefore, something like the MCT oil like you mention, is able to be actually utilized by them much more effectively. Is that correct understanding? Absolutely and that’s exactly what the PET scan shows. So if you use fluorodeoxyglucose as a tracer, you see a decrease in glucose utilization in the temporal and parietal region. So basically, it looks like two L’s on the side of your temporal, parietal. And this is the hallmark of Alzheimer’s disease. Great, so that’s another really important understanding. Thank you. Okay and you also mention that lifestyle is a very important part of healing from Alzheimer’s in general. Would you mind talking a little bit about lifestyle and it’s role in a treatment program for Alzheimer’s. Absolutely. And I should add before we move, on the fasting. So we recommend fasting 12-16 hours between ending dinner and beginning breakfast or brunch and then three hours before bed. That also helps. It also helps to induce autophagy and ketosis. So yes, you want to have the ketosis. You want to have a plant based diet. You want to have a largely fat based diet. 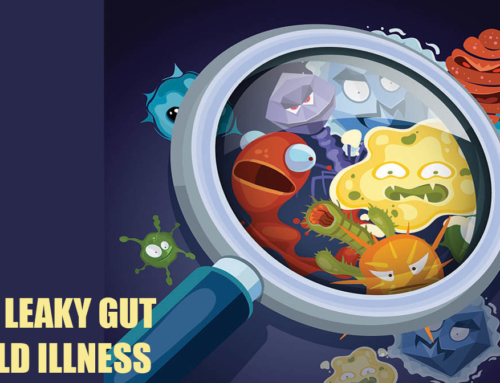 You want to check your gut to make sure that you do not have leaky gut. Stay away from gluten. It pokes holes in many people’s guts. You want to make sure that you don’t have high mercury fish and things like that. So, all this is listed in the book and on the website. To go back to lifestyle, absolutely. Exercise, sleep, stress, these are huge players in this balance. Remember that there’s a tipping point here. So what we want to do is everything possible to move you from the side of the tipping point in which you are literally pulling down, you are decreasing, your neuronal network, and we want to shift you to the other side where you are building your neuronal networks. Exercise, as you know, induces brain derived neurotrophic factors. Ketosis also, by the way, induces brain derived neurotrophic factors. So both help. That is an anti-Alzheimer’s trophic factor, very helpful to have. Then stress absolutely, high levels of things like cortisol, are associated with hippocampal atrophy. Sleep, if you can get eight hours of sleep at night, or at least seven, seven and a half hours of sleep a night, it’s huge. And of course, good sleep hygiene. You don’t want to be sleeping in the light, you don’t want to be sleeping where there’s a lot of EMF, where there are a lot of noise, all these sorts of things. All extremely helpful. And then beyond that there are a bunch of other things you can do. I’ve actually been surprised, if someone had told me 10 years ago, meditation was actually helpful for nerve regeneration, I would have laughed. But then the data comes out and meditation helps blood pressure, it helps cardiovascular risk, it helps neuroplasticity. So there’s no question. And TM in particular, Transcendental Meditation has been shown repeatedly, multiple publications, to be associated with improvements in neuroplasticity and stress levels and things like that. Neuroagility is something that actually is “Meditation on steroids.” Essentially it drives a specific frequency that enhances memory formation and relaxation. And then of course, brain training. Professor Mike Merzenich of course just won the Kavli Prize for his work on neuroplasticity. He’s the father of this brain training. And again, doing it with the appropriate biochemistry really makes all the difference. And then with this, we talked about exercise, at least four or five times per week you want to have both the aerobic side and the weight training side. The weight training helps very much with insulin resistance. So all of these things are helpful in human beings’ overall balance. Excellent, great. And it’s always really exciting to see the role of lifestyle. And I know Norman Doidge who’s a psychiatrist from Toronto also, when he came to Australia, talked a lot about lifestyle measures such as meditation and he was talking about nasal infrared and various other modalities helping the brain to regenerate. So, that’s great. Very quickly, just touching on this next area of hormone balancing. And really, this area of hormones is something that also has a huge effect on the brain. Would you like to maybe just make a few brief comments about hormones and Alzheimer’s Disease? Absolutely. For example, nice study done in the Mayo Clinic showing that people who’ve had an oophorectomy, who’ve lost their ovaries by the age of 40, if they don’t have optimal hormone replacement therapy, they double their risk for Alzheimer’s disease. And of course, people who are in the lowest quintile of testosterone increase their risk for Alzheimer’s disease. Low thyroid is also associated with Alzheimer’s. So all these things are critical, and of course, chronically high cortisol is associated with cognitive decline. So it is important to have optimal levels of these hormones. Now, some people find that just doing the right things with diet, exercise, stress, sleep, and things like that, exercise, that actually will help you to improve your hormonal status. On the other hand, other people find that that is not enough for some, and therefore you can use some help with these specific hormone replacements. The bottom line is, you want to end up with optimal levels of these various hormones, because they do support a neuronal structure, they do support synapse formation, they are and they do have an anti-Alzheimer’s affect. And of course, dropping these is really what type two Alzheimer’s is all about. One of the things that we find though, for example, is that with the type three, getting the hormone balanced are very important. So bio-identical hormone replacement is very important for this Inhalational Alzheimer’s. As is ketosis, by the way. Okay, great. So the hormones have a huge role in keeping nerve cells healthy. And so, it seems to me that people who want to prevent Alzheimer’s disease should take a look at their hormones, and explore the possibility of a bio-identical hormones when they start getting into their 50s or 60s? Is that around the age group that you think people should start thinking about that? Absolutely, yeah. And even the late 40’s. Anybody over 45 should be thinking seriously about risk factors for cognitive decline. Dr. Gupta: And you feel that it’s just as important for males as females? I do. I have to say, of course, with menopause there are more drastic changes. And as often pointed out, that andropause is a longer-term process. However, it is important for both males and females. Excellent, great. And so now, jumping onto the metabolic side of things, if people let’s say are coming into their late 40’s, or 50’s and 60’s and they start noticing that they’re starting to put on a little bit of abdominal fat and so on, and they want to start improving their health, are these some of the markers they may care to start looking at and some of the supplements that they might start wanting to look at, in terms of just preventing them from going into a full-blown metabolic syndrome? Absolutely. And as we talked about earlier, metabolic syndrome is one of the most important drivers of Alzheimer’s Disease, so you want to know where do you stand. You want to know your Haemoglobin A1C, your fasting insulin is critical, and fasting glucose is helpful as well. Restoring, making sure that you have insulin sensitivity, is absolutely critical. And then as you mention here, the second thing, is methylation. You want to keep your homocysteine down below seven. You want to make sure that you have enough B12. You don’t want to be at the low end of normal, so you don’t want to run around with the B12 of 320, 330. You want to have it above 500. Similarly, you want to make sure that you are optimal for folate and B6 as well. All of these are critical. The third thing you can mention here gut, absolutely important. Leaky gut is surprisingly common, and many of us don’t know we have it if we don’t actually check. This of course increases overall inflammation and increases your risk for cognitive decline. So, that’s also a good thing to know. People use all sorts of things like slippery elm or like colostrum, or like bone broth, things like this. As you probably know, one of the issues that’s come up with bone broth is you want to make sure that your bone broth hasn’t leached heavy metals out of the bones, with whatever it was being prepared from. So you have to be very careful about that and make sure it’s good bone broth if you’re going to use that. But absolutely, you want to have a gut that is healed and functioning well. And then as you mentioned here, things like vitamin D and things like copper/zinc ratio. These are all things that contribute to this balance that if it’s out of balance for a long time is what we call Alzheimer’s Disease ultimately. Great. It sounds like when you have a good state of overall nutrition, then your ability to defend against toxins of various types is going to be much, much improved. Would you say that’s a reasonable general principle for people who are looking to prevent this condition? Absolutely. To be able to be the most resistant, you want to make sure that you have enough glutathione for example. So you want to be able to be in a good detox state. You want to be able to make sure that your liver is functioning well. You want to be able to make sure that your mitochondria are functioning well, that your gut is not leaking. These are all things that are protecting you against the development of cognitive decline. Okay, great. Now moving a little bit more into more specific remedies, for Inhalational Alzheimer’s. Would you mind talking a little bit about some of these more specific supplements and in which cases you would utilize these? Absolutely. We utilise these pretty much for everyone who has cognitive decline. As you say, mitochondrial support is absolutely important. And in fact, a number of people will look at things like organic acids and things like pyruvate and things like that to look in fact at whether mitochondrial function has declined. You mention here that CoQ10 and certainly ubiquinol that’s what we typically use. PQQ, which increases mitochondrial number. And then of course, Magnesium threonate is something that was developed at IMT actually, and has been used by Dr. Guosong Liu and his colleagues for a number of years and with good results. Then yes, Vitamin C. Especially for people who have the high copper. If you’ve got the high copper/zinc ratio, think more about vitamin C, and again, optimizing these things. Vitamin E, and again, it’s not just vitamin E but mixed tocopherols, and tocotrienols are very important. You want to get your vitamin E up above about 12 or 13 in the lab testing. Glutathione, as you know, is not terribly well absorbed, so you either want to have N-acetyl cysteine (NAC) to increase your production of glutathione, or liposomal glutathione. Or some people use inhaled glutathione or intravenous. One of the things we found that patients who have the Inhalational Alzheimer’s respond to best, is intravenous glutathione. It’s often striking. They will improve in typically over hours they will improve for hours. And then the next day they won’t be quite as good again. But then when they get the next injection a few days later they do well once again. And over time, they will essentially ratchet up and begin to improve. So glutathione is absolutely important. Dr. Gupta: Is there a particular dosage, Dr. Dale, you’re aware for the intravenous? Used is anywhere from one to three grams. This is a couple of times a week intravenous and, again, some people use it other ways. We like to go back and forth between the N-acetyl cysteine when you take the oral route and liposomal glutathione just because you don’t want to get in a state where the person’s not able to make their own. You want to have the ability in both cases. You mentioned Selenium and things like cruciferous vegetables are very helpful, and then anti-inflammatories, absolutely. Curcumin is very interesting because not only does it have an anti-inflammatory effect, it also actually binds both to the amyloid and to the tau, so it is very helpful to remove. And of course, ashwagandha, bacopa and gotu kola have been used for thousands of years by the Ayurvedic physicians with great outcomes. And of course, ashwagandha actually increases the amyloid removal. Bacopa enhances overall the learning and memory. It has an anti-cholinesterase type of effect. And then gotu kola actually enhances focus. So these things all have been helpful and again have been used for many, many years. Then of course, you mentioned binders, things like guggul and chlorella. Chlorella especially for metals. Then tinospora is interesting because guduchi has been something that actually has helped people. When one woman, for example, who was being seen at the Mayo Clinic had been on an antifungal for years and she ended up finding that in fact the tinospora worked just as well for her chronic fungal rhinosinusitis as the anti-fungal she had been using previously. So all of these things are part of the armament for Type 3. Okay, that’s excellent. And so a couple of questions about this. Firstly, if someone does seem to have a CIRS-like symptom and has Inhalational Alzheimer’s, would you tend to use those kind of natural binders or use cholestyramine as per the Shoemaker Protocol? It helps you ultimately to get the optimal program because as you know, it is different. Some people like to use Welchol. Some people like to use cholestyramine. Some people like to use guduchi or guggul. Again, metals if that’s a problem, chlorella, may be of interest. So it does vary person to person, but we tend to start with cholestyramine. Okay, great. And so there had been some concern about heavy metals and Ayurvedic preparations. Have you found that there are some brands that are quite reliable with regard to those preparations such as guduchi and guggul? I actually talked to a few experts in this area and they recommended that they always had good results with a couple of different suppliers. I mentioned this in the book, as well. We, basically, followed theirs as they spent many, many years looking at this. So Banyan, if you like Banyan, but Banyan’s one that’s a good supplier. Gaia is another one. And then another one is Metigenics and then of course Natura, Dr. Donny Yance. Those are all ones that are tried and true. Okay, great. And then, another question regarding curcumin, my understanding is that one of the problems with curcumin is the absorption of it and that it generally is fairly poorly absorbed. Is there any particular preparations you recommend or do you tend to recommend liposomal for curcumin? Yeah, that’s a great point. And so, I talked actually to Dr. Sally Frautschy, so at least, in the U.S. there was a real resurgence of interest in curcumin. I realise it’s been used, again for many, many, many years. But there was a real resurgence of interest based on the research of Dr. Greg Cole and Dr. Frautschy. They had looked very carefully at the absorption of this. What Dr. Frautschy pointed out is that if you take it on an empty stomach, that tends to give you much better absorption, or alternatively, if you take it with fats. And of course, people use the bioperine as one way to do that, so any way you want to do that gives it a fat-base is another way to get it absorbed, and either one of those is fine. And just regarding resveratrol, which we didn’t cover much, do you feel that it’s effect on the sirtuin genes is an important way in which it may help protect from Alzheimer’s? And do you feel the sirtuin proteins have a role in this condition? Absolutely, I was really convinced of that through the research. I was actually surprised to see how striking that is. SIRT1 for example, does increase the alpha-secretase and drive the APP into the anti-Alzheimer’s signalling. And of course, SIRT1 has an auto-inhibitory role, so it actually it turns itself off. And then of course, when you are low on nutrients the NAD, which is now the oxidised NAD, will actually now remove that auto-inhibition, whereas, resveratrol does the same sort of thing, and of course, nicotinamide riboside is another way to go. But yes, you are removing the auto-inhibition of the SIRT1 and that does change the signalling and give you more, for example, sAPP alpha, so you’re more on the signalling that you want for supporting synapse formation. I think this is an important area for looking at what’s actually driving the Alzheimer’s process. One of the things we found, for example, and published was that ApoE4 primes to the promoter region of SIRT1, so if you look in the brains of patients who are ApoeE4 and have Alzheimer’s, they have marked decrease in SIRT1. Dr. Gupta: Okay, great. Thank you very much for all that. This is your book, The End of Alzheimer’s. Do you like to talk to us a little bit about which people may find this book most beneficial and what information are people likely to get out of this book that would benefit them? Right, so the book is specifically written to be read by everybody, so for caregivers for people with Alzheimer’s, for people who are not necessarily scientists or physicians, but are concerned about their own potential for cognitive decline. We’ve got a couple of chapters that are specifically for scientists, so you can skip those or read them and I mention that in there. And then, we go through all the tests that are helpful and then all of the approaches to those tests. My hope is that physicians who are caring for people who are either at risk for cognitive decline or have cognitive decline will take a look at it. We have specific tables also, so that people can look at what tests are optimal, what values of the tests are optimal, and then what to do about each thing. We also have things going through specific nutrition plans, what are the specific requirements for nutrition, et cetera. So, basically, it is a book for everyone. The goal is to help to reduce the global burden of dementia. Great, thank you. I’m very, very happy to hear that. It’s become a best-seller and hopefully that this information that you’re putting out there on Alzheimer’s disease is going to become mainstream and even part of medical training. Are you aware if any medical schools have embraced some of your ideas as yet? It’s interesting. The first medical school to embrace any sort of functional medicine, here in these states, has been Cleveland Clinic. And so Cleveland Clinic, in the last couple of years has set up a functional medicine center. Dr. Mark Hyman is the director of the functional medicine center and Dr. Patrick Hanaway is the co-director. Actually, we are working with them and with Dr. Nate Bergman specifically on the Alzheimer’s part, so there’s interest there. But you’re absolutely right, the centers around the country are still using the old-fashioned approach of giving Aricept and not looking at these various contributors to Alzheimer’s disease, yet. And I hope that over time that will change. Great, yeah. I really hope that starts becoming a part of the mainstream. Just going to talk very briefly about my course, if that’s okay Dr. Dale. 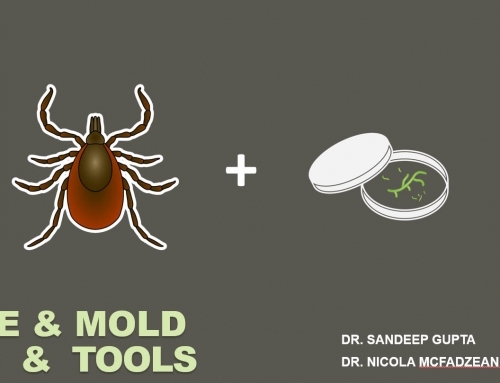 A lot of people who have been coming to these webinars will already have heard me talking about it quite a bit, but basically, it’s called Mold Illness Made Simple. The motivation for me creating this course – for me, to learn this illness I had to read a number of hundred page documents that were super technical and I have been finding that people were feeling very overwhelmed who were suffering from this illness. I wanted them to feel more confidence around understanding the illness and understanding the alphabet soup that comes around markers like C4a and TGF-Beta 1 and MMP9, and to really get some hope around recovery. Because it really is possible to recover from this condition, but a lot of people seem to get into overwhelm and when you’re in overwhelm you tend not to move forward. So the course is designed to help people with this illness to move forward. And there’s a workbook for each chapter, like you can see on the right side of this screen. And so, you can see what’s mentioned, what’s discussed is going through all of the different aspects of CIRS one by one and breaking them down. So it seems that a lot of people, and especially … and sort of what seems to happen is the caudate nucleus seems to get affected. And according to Dr. Shoemaker, this may actually effect people’s ability to assimilate information. Therefore, it kind of becomes a double whammy with them having this illness which is so complicated to start with and also possibly having a impairment to learning. So, that’s why I’ve tried to make this as simple as possible. We also have a private Facebook group for people who have got up to chapter five. There, they can ask questions. And the feedback so far is that the course has helped people to definitely regain a lot of hope and to deal with their overwhelm. And just feel like they had some understanding of what was really going on with this illness and what they’d need to recover. So, hopefully it is achieving its purpose. So, we have done another little discount code after this webinar, which we called BEATAD, standing for Alzheimer’s disease. And I do also want to mention that people who may only have mild symptoms and think they may have a mild form of CIRS, it may be worthwhile for them to think about taking this course, as well, in terms of just simply preventing Alzheimer’s disease as Dr. Dale has talked about on this webinar. On the YouTube video that will come out after this, the actual link to sign up for the course with this coupon code will come up. So, thanks very much. We can move on. Okay, great. So, if it’s okay, Dr. Dale, I’ve just got a few questions and answers. I know we’re getting up to our time limit here, but is that okay with you if we just ask a few. The first question is, when the ReCODE is implemented, and at the appropriate time of treatment, other therapies that are particularly helpful for removal of beta amyloid? Yeah so, again, here’s the trick. You don’t want to remove the amyloid before you remove what it’s protecting you from. So if you have an ongoing, chronic exposure to things like mycotoxins, the last thing you want to do is start to try to remove the amyloid. And we’ve actually had a number of people who have had amyloid removed with antibodies who have gotten worse when it was removed. So first, you might want to identify what’s actually causing it. When you have addressed those things, when you’re making sure that there’s no more exposure, then yes. There are a couple of ways to do that, and of course curcumin is one of the ways that’s been looked at. And low doses of curcumin, one to two grams total, are good for anti-inflammatory and some removal of amyloid. Higher doses, people use three, five, even 10 grams, this binds the amyloid and tends to help remove it. Ashwaganda is another one that actually increases the metabolism. Again, just getting your insulin down, because insulin degrading enzyme degrades amyloid. So, your insulin degrading enzyme is competing between degrading your amyloid and degrading your insulin. So getting your insulin down, helpful to allow your IVE to be one. And of course, there are several enzymes necrolytes and ECE, things like that. So that’s another way to go. And then, of course, there are now there are trials ongoing with various antibodies to remove amyloid. But again, I would caution people, make sure you remove the reason for having the amyloid before you remove the amyloid itself. Once you’re doing that, though, there are lots of things that can contribute. Great, thank you. That’s a really, really important point that you bring up there. Well, the next question is, in patients who have CIRS or Inhalational Alzheimer’s who have significant cerebral atrophy, what approach do you suggest they take if after six months or a year of intranasal VIP and having done the rest of the steps of the Shoemaker Protocol, their still not finding that their cerebral atrophy is improving? Yeah, so, I think the first thing we find is that, if people are not getting improvement, there is something else that hasn’t been identified. So you want to find out. One of the common things is, for example, we had one woman who did well but wasn’t back to perfect yet. And so we said, we’re missing something. She ended up having Babesia that had been undiagnosed for 10 years. She had had a tick bite 10 years before. She had been treated for her Lyme, but she had never been treated for Babesia. She’s now being treated for Babesia and she’s doing better. So, the first thing is to look for other things that may be contributors that may have been missed. The second thing is compliance. Frequently, we find that people are not complying with these. And we recognize it’s not easy to do all these things. The third thing is, are you achieving optimal levels of these various things? Again, you don’t want to be at the low end. We want to make sure that your B12 is over 500, want to make sure that your homocystine come down. We want to make sure that these various things are all critical. Is your gut still leaky? Is your rhinosinal microbiome altered? This is turning out to be an important area. Some people actually have found, as you know, that actually using kim chi juice as part of optimizing your microbiome, your rhinosinal microbiome. I think there’s going to be more and more interest in the nasal and sinus microbiome, because this has such access, ultimately, to your central nervous system. So it’s tweaking these things. If you’ve looked at all of these things and you’re still not getting improvement, then ultimately, the question is whether you should be involved in one of the stem cell trials. And as you know, there are now more and more stem cell trials specifically. All right, thank you very much. I totally agree with your response and I’ve definitely found that often these patients who are not improving with VIP do have some kind of stealth infection going on in the background. Do you ever use any of the herbal nasal sprays which have been recently developed, such as RG3 or Synapsin? And do you feel they have a role in helping with these kind of conditions? They may absolutely have a role. We have not been using those so far, but I’m very interested in intranasal approaches. Intranasal nerve growth factor, intranasal ADNP. Of course, there’s a trial with intranasal insulin. I’m a little worried about that one, because now it was trying to make you insulin sensitive. And you’re flooding the field with insulin. So that worries me. But yes, I think … yeah, and because of the access, the intranasal approach with various trophic supports are going to be huge. And of course, we treat MARCoNS. So that’s obviously part of the CIRS treatment. So, no question, the nasal route is absolutely critical. Great, thank you. And you often suggest that being ApoE4 may actually be protective against type three Alzheimer’s. However, if a patient does have an ApoE4 genotype and also elevated levels, or abnormal levels, of many of the CIRS markers, does that require any adaptation to the ReCODE protocol? That’s really good point. We had mentioned this a few years ago, that we see that, in general, the people who tend to get the type three, the IAD, tended to be more with the ApoE4 negatives, unlike type one and type two. And it’s interesting, because this is the same sort of finding now that others have seen with the Chimonay Indians, who of course, when they have parasites, they do better if they’re ApoE4 positive. Similar story with Dr. Tuck Finch’s work in Ghana. These people die relatively young, this tribe he studies, from infectious illnesses. And guess what? If you’ve got ApoE4, you do better. You tend to live longer in that group. So, neither one is necessarily advantage, disadvantage. It’s different. You have a more pro inflammatory state if you are ApoE4 positive. And you tend to have some resistance to these sorts of things. Things like molds and mycotoxins. However, as you said, some people, and we have a number of people who are ApoE4 positive who do have type three. And we don’t for them, what we do that is different is, yes, you have a longer fasting period. You go, instead of 12 to 14, you go 14 to 16 hours. We want to be more on the anti-inflammatory side. But otherwise, the main branch point in ReCODE whether there is evidence of type three, in which case, you’ve got to have that protocol included. The good news, if you have no evidence of type three, hallelujah. Just with getting your insulin sensitivity, optimising your hormones, and balancing nutrients, you’re going to do very well, likely. So that is the big branch point. You want to know if there are CIRS labs for these people. Great, okay, thanks. That’s a very, very important point. And then the final question, and there’s two different questions which are sort of related. There’s a lot of disagreement regarding the best way to measure metal such as copper and zinc. And so, that includes serum, red blood cell, and hair. And one person is saying that testing metals through Quicksilver and LabCorp result in dramatically different values. Could you talk a little bit about what exact type of testing you recommend for the zinc, copper, and other metals, including heavy metals? Yeah, this is a controversial area. Actually, I just got an email today from Dr. Frederickson, who is doing these sorts of things, looking at zinc in hair and nails. And he argued that that’s a better way to do it. No question things like red blood cell magnesium area much better way to look at magnesium than just standard serum magnesium. Red blood cell zinc. Good way to look at zinc, as well. Having said that, we also like to look at serum copper to serum zinc ratio. You mentioned the KPU earlier. And that is something that you see repeatedly. And so, we like to see that copper zinc ratio in the serum in addition to having, whether you like RBCs or whether you like to do it from hair and nails, whatever. Absolutely it’s a very good point. And again, six hour urines for things like heavy metals when you’re trying to look at these things that are actually in the various organs. This is an area where you actually get complementary information from doing it this different ways. Great, thank you very much for that clarification. And on that point, I think we’re going to wrap up the webinar. I want to give a big thank you to Professor Dale Bredesen for coming along and for all of his groundbreaking research on this area of Alzheimer’s disease. As I’ve already said, I think your work is really a ray of light of hope for the many millions of people who are suffering from this condition or at risk of this condition. So thank you so much for being with us today. And we hope to include your work in future in a revised version of our course. And also a big thank you to Caleb Rudd for he’s technical support and content support. So, everyone, I hope you’ve really benefited from this webinar and you’ve really got a bit of insight into how Inhalational Alzheimer’s relates to CIRS and which people should be thinking about Alzheimer’s disease as being a possible risk for them and what things they can do to prevent it. So I hope everyone has a great rest of their day, and we’ll see you in our next webinar. Dr. Bredesen: Thanks, Dr. Sandeep.